Co-Sleeper Cots, Bassinettes, and Cribs: What's the Difference? Co-Sleeper Cots, Bassinettes, and Cribs: What's the Difference? 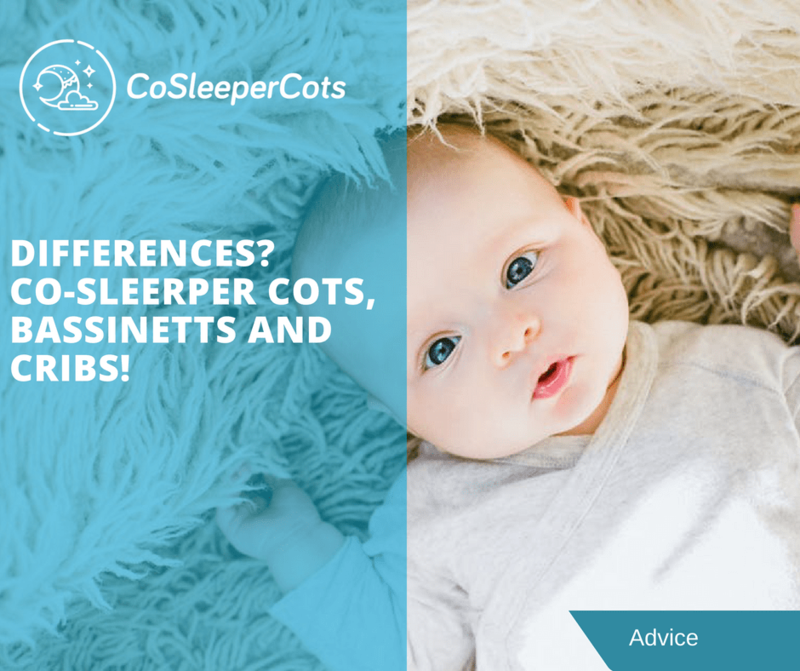 » Co-Sleeper Cots, Bassinettes, and Cribs: What’s the Difference? Sleep is such a novelty when the baby first arrives. Finding the right solution to encourage sleep, especially an age-appropriate one, is key to helping everyone get some rest, safely. There are numerous options for sleeping areas for your baby, but the confusion about what is best often results from a lack of information on what these options are. We feature numerous articles to help inform parents on the many options about sleeping areas. Keep a site like this is mind as a resource for more in-depth information on sleep. For now, let’s discuss the three main options that parents run into, and how they compare. 1. Bassinettes: A bassinette is a bed that is specifically designed for babies from birth up to about four months in age. Bassinettes are generally designed to work with secure legs or casters and are often smaller in size. There are numerous benefits to a bassinette that can be very appealing to a new parent, but that is one of their major drawbacks: They are limited on their lifespan, typically due to weight as the first obstacle, and due to baby’s increased movement abilities as they get older. If you have a smaller home, a bassinette can be a great option. They take up less space, and also, most feature some hood or cover that can be pulled down while the baby is asleep. The sides of a bassinette will also be shorter, so a new mom recovering from a cesarean delivery, or just a difficult delivery in general, will not have to bend over as much to pick up or put down the baby. This can also be a good option for parents who struggle with back strain. 2. Cribs: The lifespan of a crib, on the other hand, is years for some models. Cribs can be an increased investment, but that is due to their numerous features. Often, a crib can be adjusted to fit from birth through even elementary school age. Most models will have an adjustable height mattress, one that can be raised to its highest setting when the baby is a brand new arrival. As the baby gets older and more mobile, the mattress can be lowered. This is an advantage over bassinettes. A crib will not have any similarity to the weight limit a bassinette will have, but can be quite a bit pricier, and can be overwhelming in both space and the feeling of wanting to keep your baby warm. For safety reasons, the area where the baby sleeps should not have blankets, pillows, stuffed animals, or any of the paraphernalia often pictured in those adorable advertised nursery sets. Even with a raised mattress, the point of having to reach over and in for the baby can be difficult for a mom recovering from a challenging delivery. Cribs are also not nearly as mobile and will often take up much of the floor’s footprint in space. 3. Co-Sleeper Cots: These are a sleeping option that has gained much popularity in recent years. As it is recommended that your newborn sleep in the same room as you, but not in the same bed for safety reasons, a co-sleeper cot offers a satisfactory solution between the two. These are the perfect go-between for a bassinette and crib, with the smaller size of a bassinette, but the longer lifespan of a crib. There are even models that hook straight to your bed so that you don’t have to move very much to reach your baby. 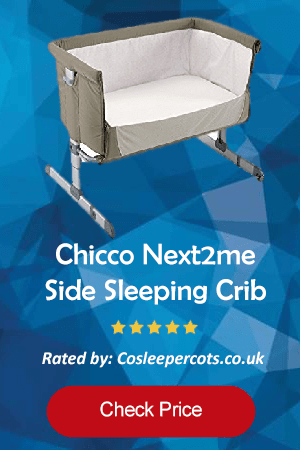 With the added sleep benefits that many new parents crave, co-sleeper cots have become a solution for many. A cot does have some of the weight limit restrictions like a bassinette, along with the age restriction for mobility purposes, but will last longer than the four months of a bassinette, with many lasting a year or longer. It can be a good investment if you don’t want to purchase a crib right away, or if you don’t yet have space for a crib. Some co-sleeper cots will have the hood like feature of a bassinette but will not have as much ability to be moved around. In some cases, they are available on moveable casters that can be locked and unlocked for movement, but a secure co-sleeper cot will usually have one open side, so it is best to keep it closer to the bed of the parents.